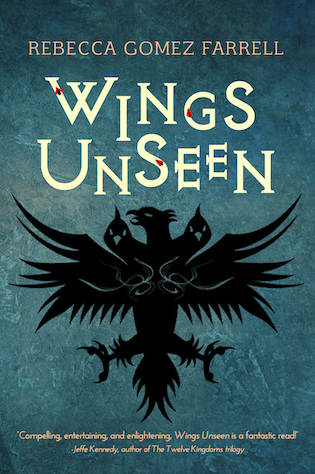 So Few Books ~: BLOG TOUR & AUTHOR INTERVIEW with Rebecca Gomez Farrell for "Wings Unseen"
BLOG TOUR & AUTHOR INTERVIEW with Rebecca Gomez Farrell for "Wings Unseen"
A great many things! It’s epic fantasy, so there are a few smaller storylines that ultimately come together into a greater whole. Thus, it’s hard for me to point to any one inspiration, but I can highlight inspirations for a few aspects of the book. While the main monsters in the book – the claren – are not mosquitoes, I did channel my growing hatred for those blood-sucking insects into the claren while I was living in North Carolina. I hated that I couldn’t walk into my own backyard in summer without being covered in bug spray. You can bet I exulted every time I wrote a scene in which claren die. A post on Bull City Rising, a blog in Durham, NC, helped me tackle a key social and political conflict in my book. The blog post described two cities’ different approaches to dealing with crime: one essentially turned a blind eye while the other shined a spotlight on it. That analysis inspired my treatment of the conflict, particularly through exploring how much responsibility a community bears for closing their eyes to the problems of others. A third inspiration is the show Doctor Who! The villains of an episode are often given a choice as to whether they will stop their evil ways or bring about their own ruin. I had been struggling with needing one of my protagonists to go too dark in dealing with the evil threatening the world…and remembering the Doctor’s choices given to such villains gave me a way out of that tangle. But if I tell you, they won’t be hidden, will they? I think learning what readers take away from the book will be the most enlightening to me once it’s released! But I do hope the concept of free will comes through loud and clear – even when it feels like we’re passive participants in our own lives, we are always the ones choosing what to do with what we’ve been given. I can give a confident “no” to that. But they don’t exist wholly outside of real-people influence, either. My characters are a hodge-podge of people I’ve known, or passed on the street, or admired from afar or in other fiction. Some of them have stronger influences than others – for instance, Ryn Gylles is indeed meant to be a stalwart, guiding figure in one of my protoganist’s lives, much as Giles is for Buffy in Buffy the Vampire Slayer. But he does not look the same nor speak in the same manner, and he ends up with a different relationship with his mentee. This question makes me pause, because I usually offer a list of creative influences that’s quite expansive! 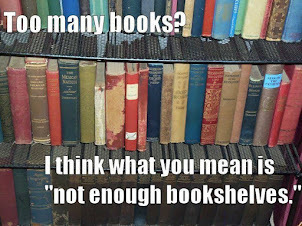 But to limit it to just one is a challenge. Ultimately, I’m going to go with George R. R. Martin, though I am not as verbose as he is. Nor is my work as full of political machinations – I’m more drawn to the fantastical side of fantasy. But I have always admired his use of different points-of-view for fully developed and engaging characters and his ability to make fantasy grounded in every day details even when it’s dealing with dragons or frozen zombies. If I can wield any of those things a quarter as well as he does, I’ll be happy. This is a great question! I fear the answer could get quite long, so I’ll aim for brevity. I would dine with Jon Snow from A Song of Ice and Fire, the wizard Gandalf from the Lord of the Rings, and the Childlike Empress from the Neverending Story. We would play something simple and funny, like Apples to Apples, because these guys need a break from having the weight of the world on their shoulders. And we would eat plenty of warm foods for Jon Snow’s and the Empress’s sake, as I imagine they might be rather cold living in constant snow and the expanse of nothingness. Perhaps chicken pot pies and mulled wine? Gandalf can conjure himself up smokeless tobacco for his pipe. After I’ve asked them how they hold onto their moral compasses in the midst of such dire circumstances, we’ll finish up with a rousing, merry song to raise our spirits. Thank you, Jen, and the So Few Books readers, for hosting me! In all but one career aptitude test Rebecca Gomez Farrell has taken, writer has been the #1 result. But when she tastes the salty air and hears the sea lions bark, she wonders if maybe sea captain was the right choice after all. 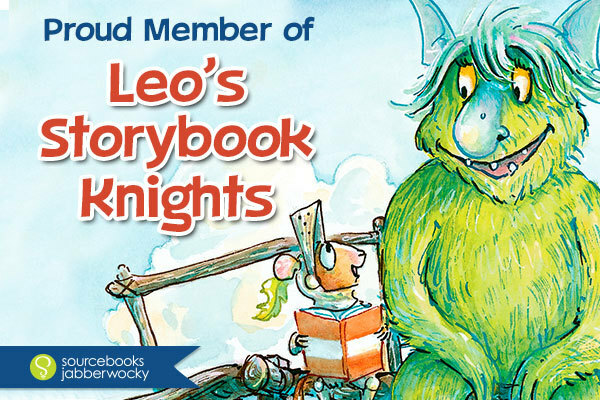 Currently marooned in Oakland, CA, Becca is an associate member of the Science Fiction and Fantasy Writers of America. Her short stories, which run the gamut of speculative fiction genres, have been published by Beneath Ceaseless Skies, Pulp Literature, the Future Fire, Typehouse Literary Magazine, and an upcoming story in the Dark, Luminous Wings anthology from Pole to Pole Publishing among others. Maya’s Vacation, her contemporary romance novella, is available from Clean Reads. She is thrilled to have Meerkat Press publish her debut novel. Becca’s food, drink, and travel writing, which has appeared in local media in CA and NC, can primarily be found at her blog, The Gourmez. 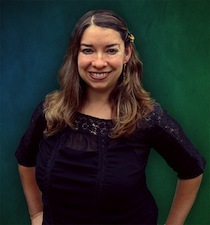 For a list of all her published work, check out her author website at RebeccaGomezFarrell.com. Thanks for interviewing me, Jen! Especially fun to think about the game night meal with literary characters.